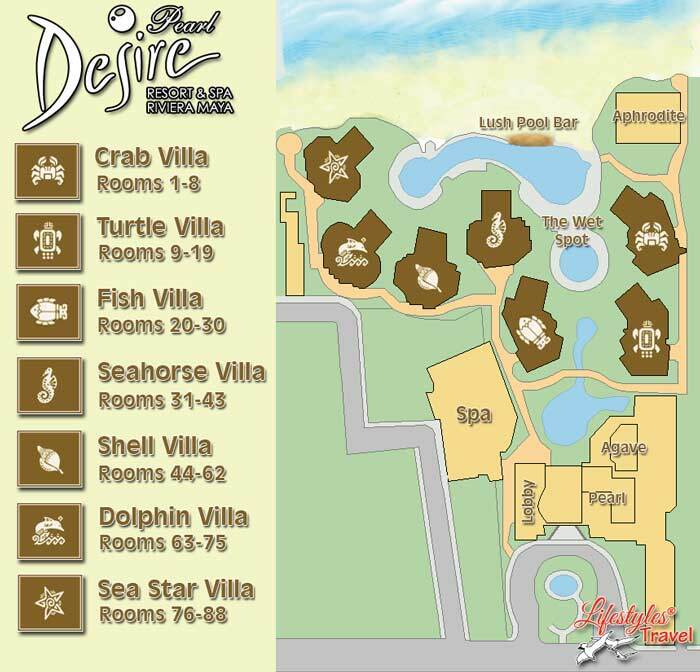 Desire Resort Pearl Puerto Morelos is ideally located on a stretch of secluded, powder-like sandy beach, at the edge of the fishing village of Puerto Morelos. 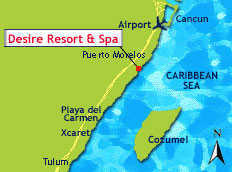 This clothing optional venue, the Desire Resort Pearl Resort & Spa Riviera Maya is only 20 minutes from Cancun Airport. Experience one of Mexico's most perfect beach resorts and the great array of attractions that are within easy reach of the resort such as some of the most significant Mayan archeological sites, the vast network of underground rivers, over 100 "cenotes" (sacred pools of clear, calm water), cave diving, scuba diving and snorkeling on Great Mayan Reef as well as deep sea fishing. Transportation from Cancun International Airport to Desire Resort Pearl is not included in the rate of our exclusive, clothing optional resort. We can schedule you for our semi-private transportation (only from the airport to Desire, you may share the ride with other couples going to Desire). Transportation can be added to your order at the time of booking or by give one of our travel advisiors a call. Other convenient options are taking a cab or renting a car at the airport.